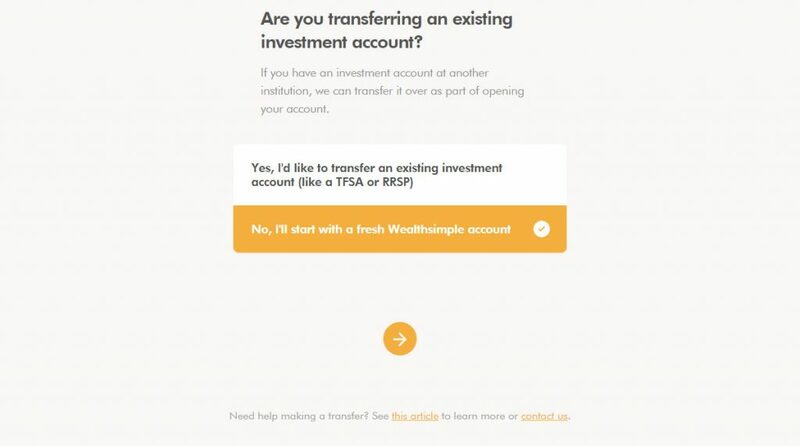 In Part 1 of the “How to invest with Wealthsimple” guide, I went over first 2 steps of the sign up process: what types of personal information you need to provide, and the types of questions asked in the risk assessment process. 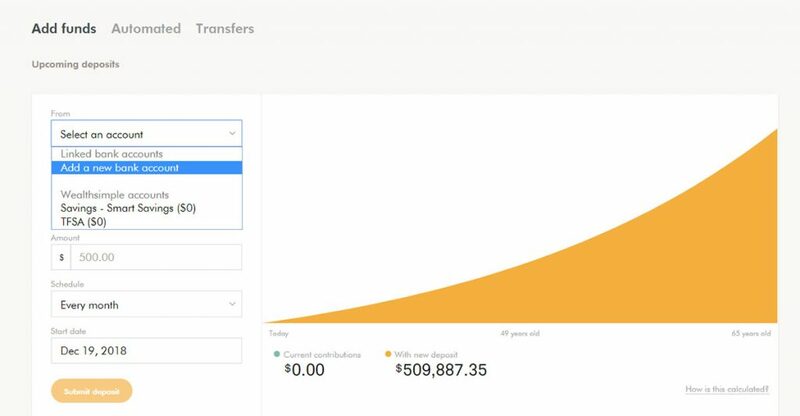 In Part 2 of the guide, I’ll show you the different types of accounts you can register for, and how to actually add funds to your Wealthsimple account. 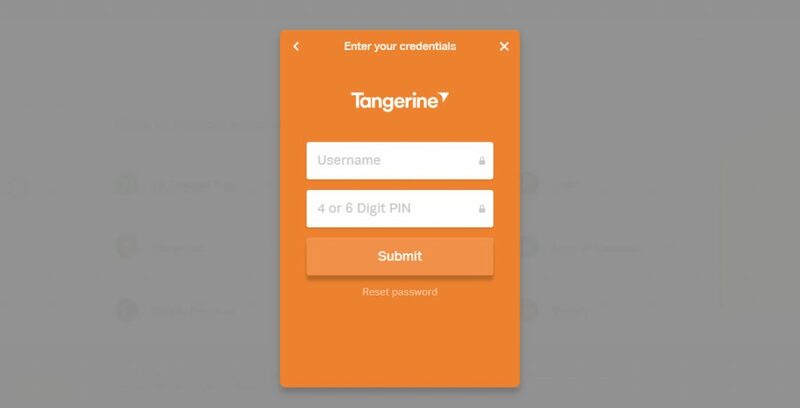 Step 3 of the 4 step process provides you with options on opening different types of registered and non-registered accounts, as well as the option to transfer from registered accounts at other banks. 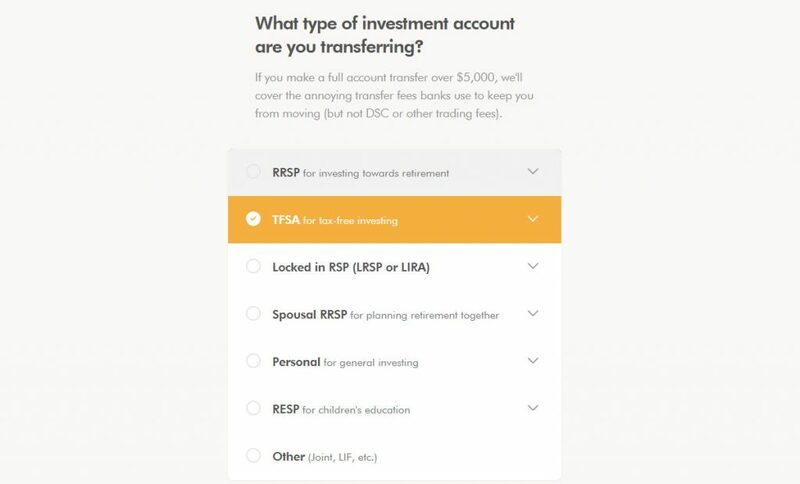 This step is important if you already have TFSA and RRSP investments that you want to transfer over, without affecting contribution room or taxable income. 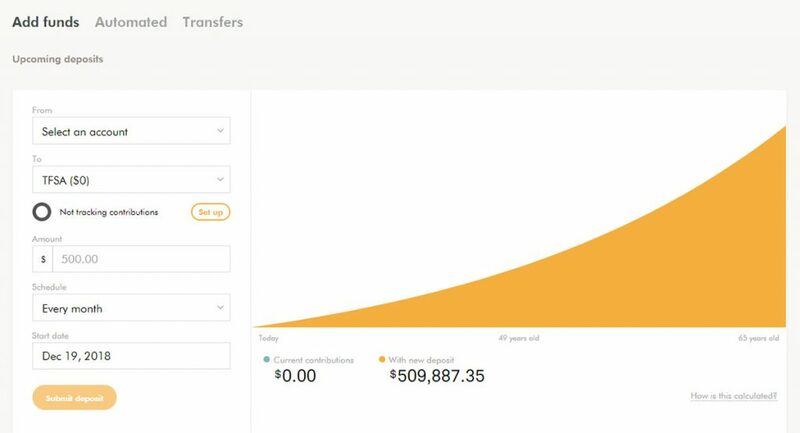 If you are transferring from an existing registered account, and transferring over $5,000, Wealthsimple will cover your bank transfer fees (excluding Deferred Sales Charge (DSC) fees or other trading fees). Select the type of account you are transferring, and follow the account information questions that follow. 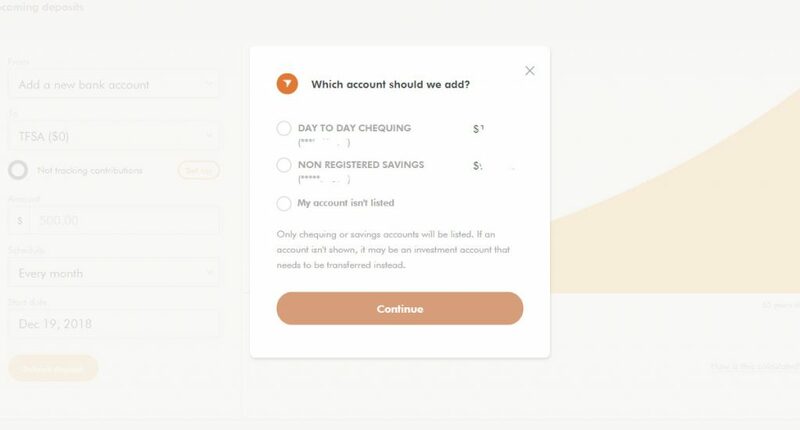 While I opened a Savings account, I found that Wealthsimple is not able to match the interest rates that EQBank provide, so I won’t go into the Savings account very much. In this step you can name your account whatever you like. 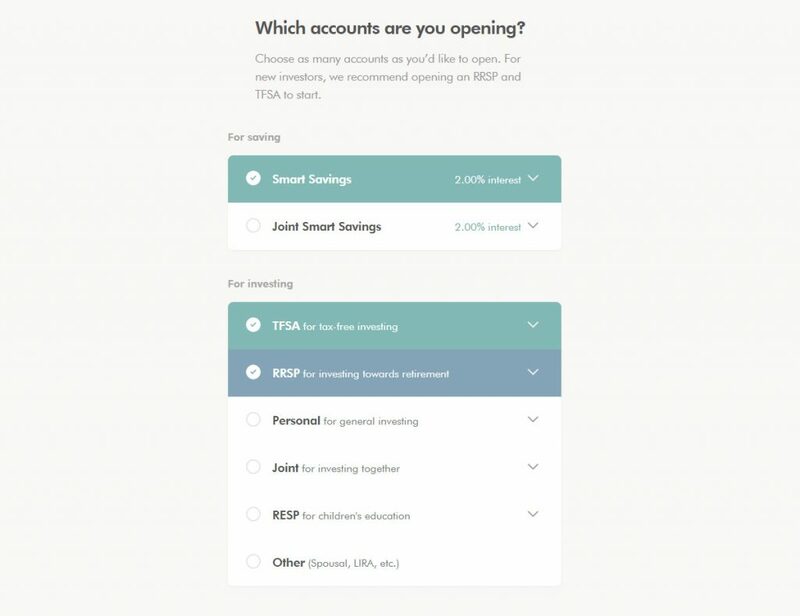 The last step before opening the selected account types is to review the agreement that Wealthsimple provides. Reading the small print can be annoying, but I would suggest reading as much as you can. 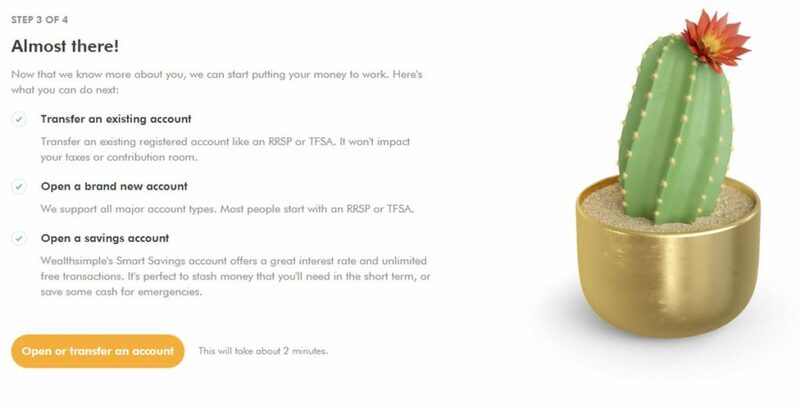 Step 4 is the most important step: how you plan to fund your account! This will cover how to link to your bank account, and how to setup a re-occurring or 1 time deposit. 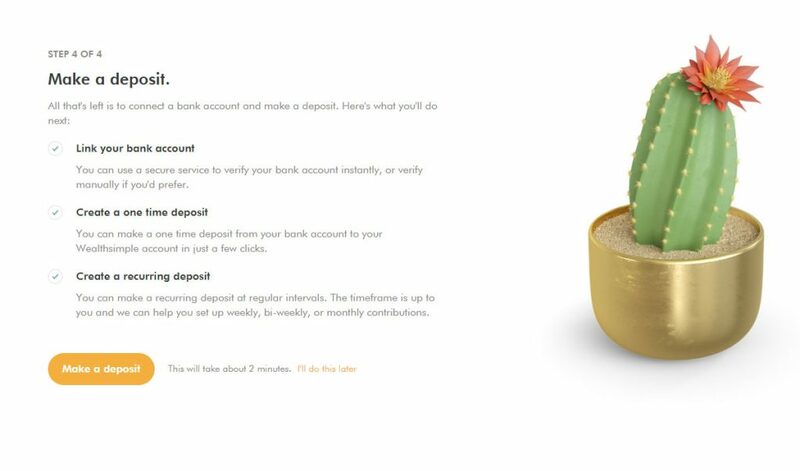 A small deposit will be necessary to start with Wealthsimple. I started with $50. 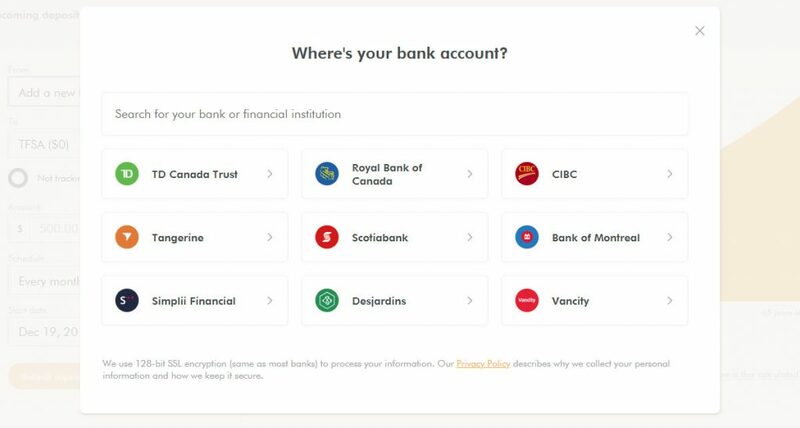 Wealthsimple uses the secure service “Plaid” to link to your bank account, which is used by many financial institutions. 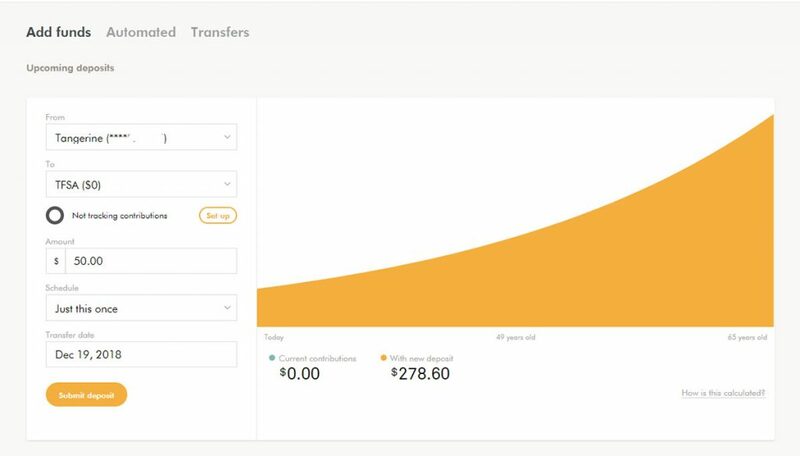 You have now completed your registration with Wealthsimple! 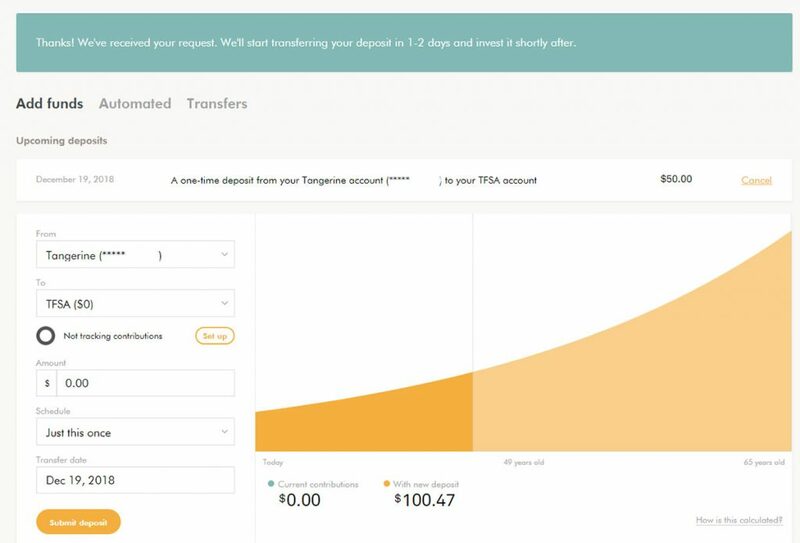 You can now transfer additional funds in the exact same way if you would like to transfer to other accounts, or more funds to the same account. 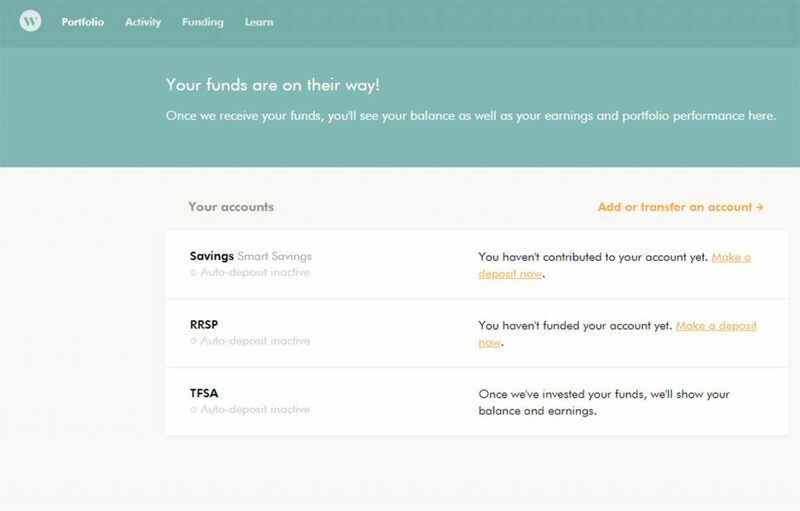 You’re now ready to get started with the Wealthsimple Robo Advisor. If you want to know more about the cost and investment types that Wealthsimple provides, see my review with all of the relevant information. 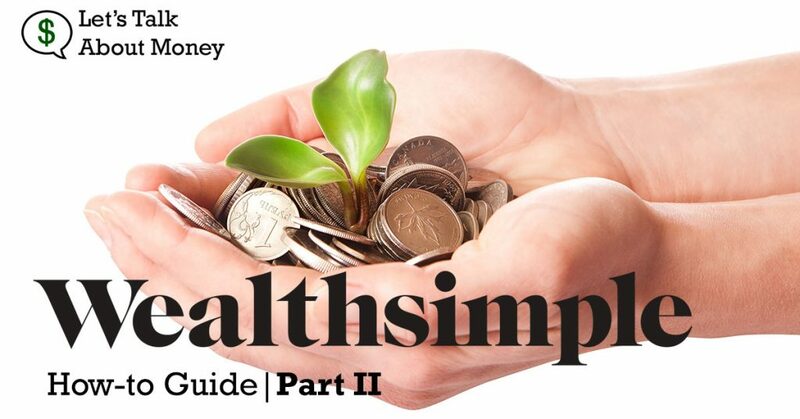 If you found this guide helpful, signup using my Wealthsimple referral link, and get your first $10,000 of investment fees waived for the first year!